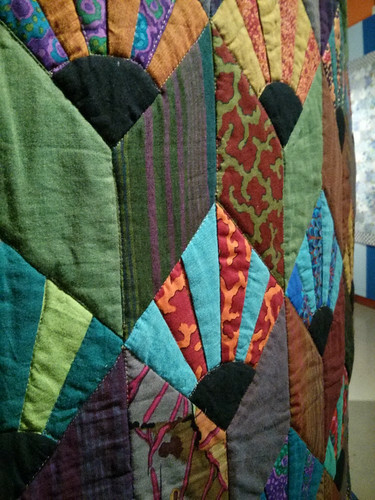 Tucked away in a quiet street near London Bridge station is the Fashion and Textile Museum, an amazing resource that until a couple of days ago I did not know existed. Founded by Zandra Rhodes, the museum showcases exhibitions exploring fashion, textile and jewellery design. 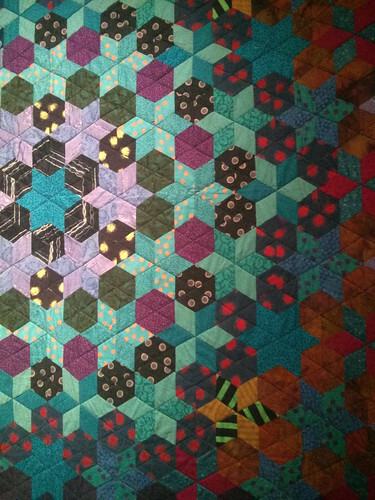 Their current exhibition explores the 50 year career of textile designer Kaffe Fassett – a figure whose inimitable and extravagant use of colour has made him a household name amongst knitters and quilters. The exhibition closes on 29 June 2013, so be quick! 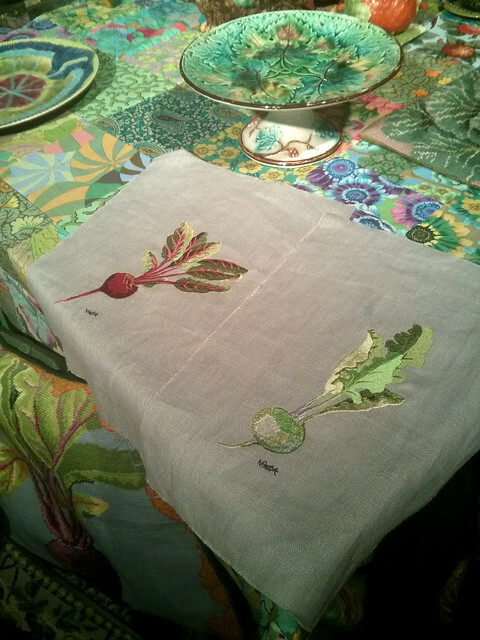 It contains over 100 works spanning a spectrum of textile art disciplines including patchwork, embroidery, printed fabric, beading, tapestry and of course, knitwear. 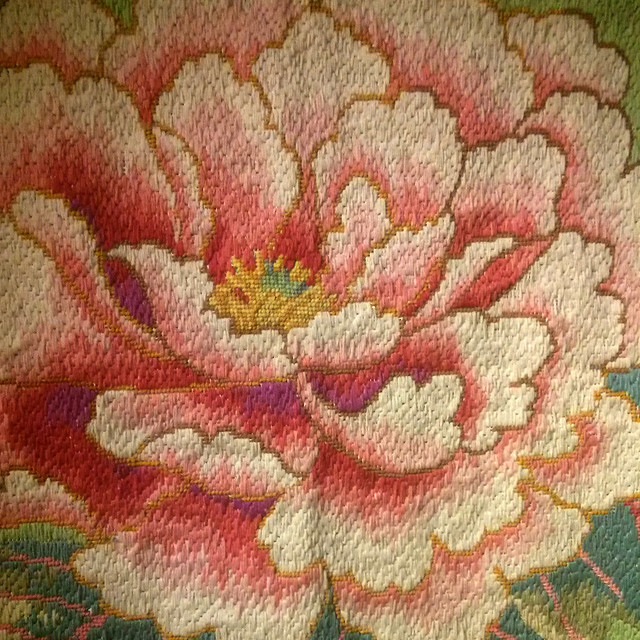 Fassett appears to switch effortlessly between abstract and figurative motifs, overwhelming scale and minute detail. I was struck as much by the boldness of pattern in his work as colour. The exhibition is beautifully curated with source material alongside finished works and with varying scale, texture and media complimenting the banquet of dramatic colour. 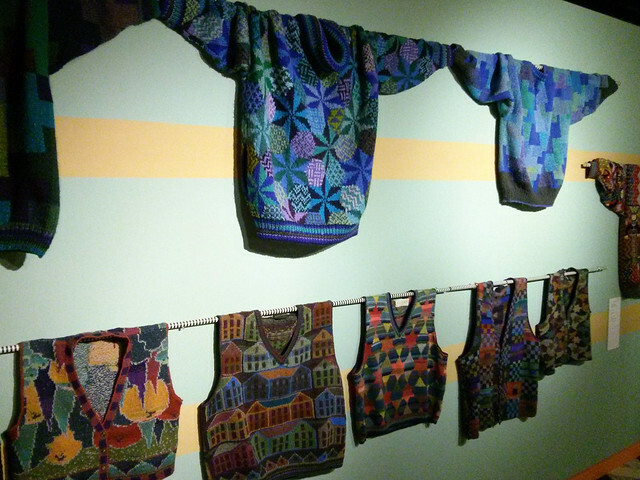 I have never convinced to try Fassett knitwear designs – being primarily interested in shape and form in fashion I’m put-off by their lack of wearability and complex, inelegant construction that battles the medium. But I was missing the point. 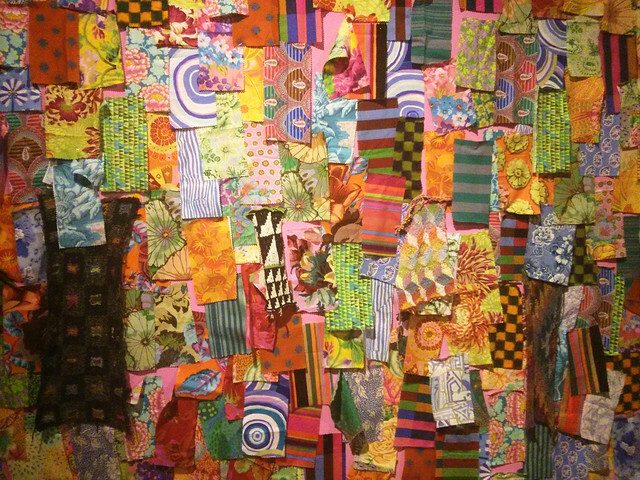 Art is not about practicality or convenience – Fassett’s work is mesmerising but also challenging and overwhelming on the senses. 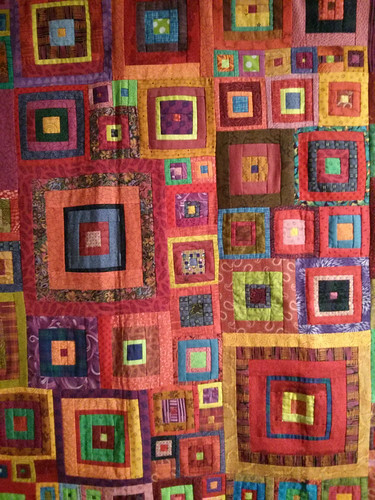 Kaffe Fassett – A Life in Colour is open until Saturday 29 June. …If you’ve ever wondered how he deals with all the ends to weave in, he leaves them frayed. I wish to goodness I was nearer and could make it to see this exhibition. Kaffe is my colour hero.